SACRAMENTO, Calif. (KGO) -- The California State Assembly could take up two bills this week to fight climate change and reduce the state's reliance on oil. 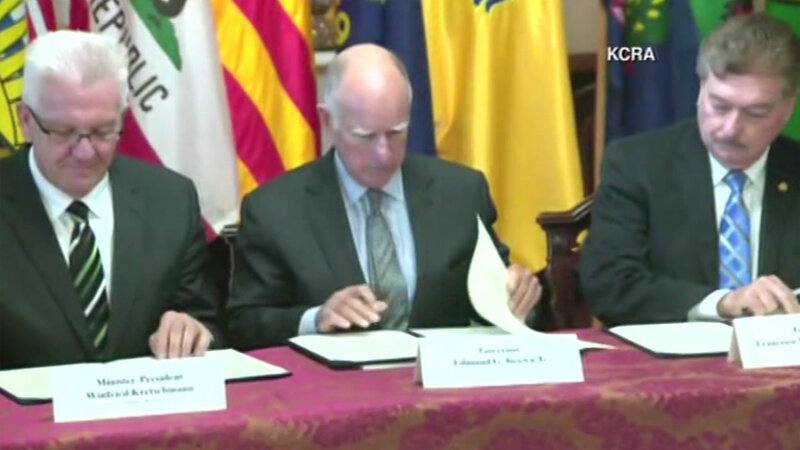 The bills allow the state to meet goals set by Governor Jerry Brown in April. His order calls for reducing greenhouse gas emissions by 80 percent over the next 35 years and cutting petroleum use by cars and trucks in half over the next 15 years. If enacted, the legislation would set an international precedent.